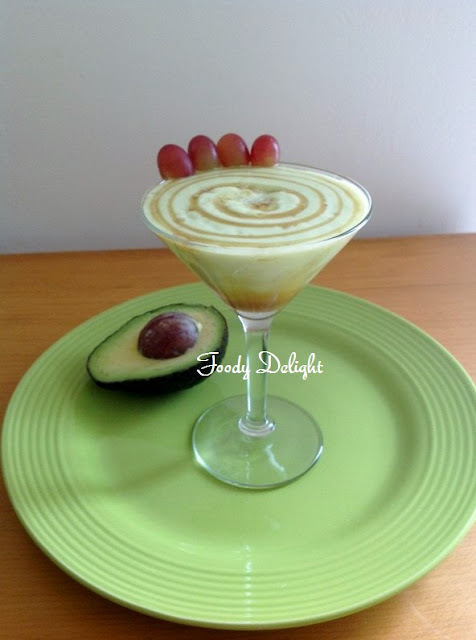 Avocado milkshakes or avocado smoothies are quick and very nutritious drink. This recipe uses only milk, avocado and sugar.If you're only familiar with using avocados in salads and dips, you'll be pleasantly surprised how delicious an avocado shake can be! Cut the avacado into two halves. Remove the seed and scoop out all the flesh of the avacado. 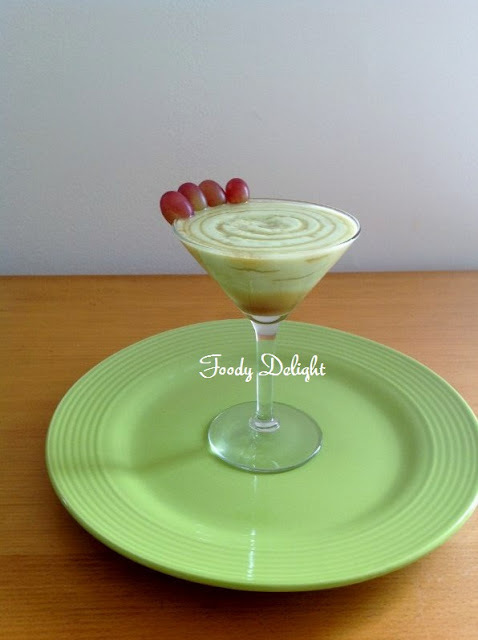 Put the avacado flesh,chilled milk and sugar into the blender and blend until smooth and creamy. Squirt some caramel into the serving glass at the sides and leave some at the bottom. Pour the blended mixture into the glass. 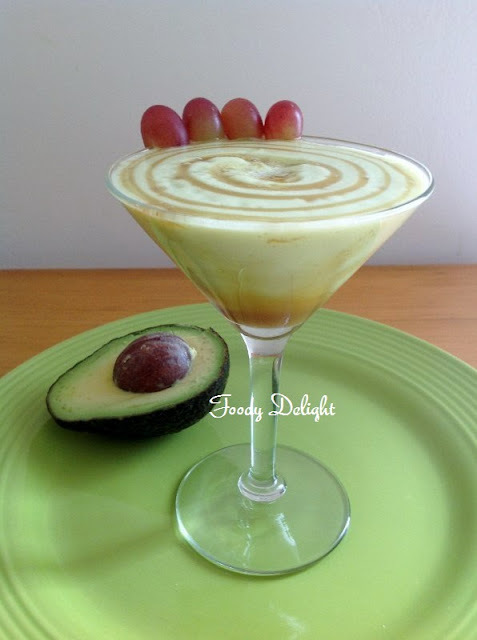 Top the avacado milkshake with the some extra caramel syrup. Never thought of using avocado for a shake.. Irresistible shake, lovely addition of caramel syrup. Another refreshing and yummy drink ! First time in your space. Your recipe cools the summer.